At least once a year I teach a segment of our church's new members' class. I enjoy this because it allows me to speak directly to the substance of our faith, the key matters of Christian belief and practice that constitute the heart of who we are. The primary concept I try to share with people is the subject of grace. In my opinion, grace is one of the most beautiful words in the Bible. I use the letters of the word to form an acronym: God's Riches At Christ's Expense. It's what one preacher called, "surprise gift love." Grace is that gift we don't expect or deserve, that free gift from God that welcomes us home to God's arms, the broken, needy, messed up people we all are inside--each of us now get a chance to be embraced and restored, freely and without charge. As one writer put it, it's the "alley, alley all come free" in our grand hide-and-seek with God. You get to come home; you're safe--and you don't have to pay for it or earn it in any way. All you do is receive it in faith and trust. Too many of us think of salvation, eternal life, or even forgiveness as a pole-vault. God's bar is set high morally and ethically and we do our utmost to clear it in a spectacular effort of earnest endeavor. Work hard, try your best, do unto others--and hope you can clear this divinely appointed hurdle. Salvation as pole vault. Wrong. Salvation, I like to say, is not a pole vault, it's a limbo bar. 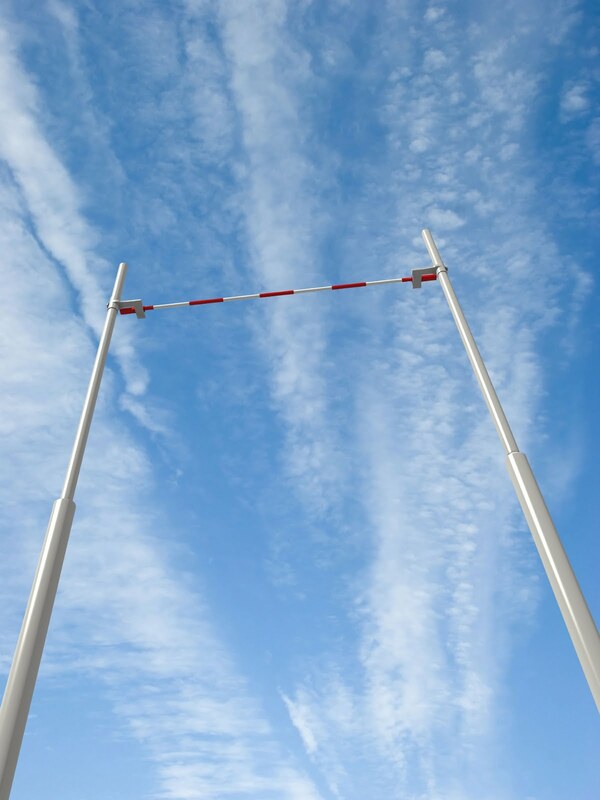 God doesn't require a spectacular feat of moral athleticism in order to clear his high bar. The bar is rather a limbo bar, set low, so low in fact that only the humble, only the broken, only the needy, the messed-up, the low performers need apply. It's in humility, in lowliness, in the admission of our need and unworthiness that we come to God and find in God our gracious welcome. The bar has been cleared; not by us, but by God in Christ, who's fulfilled all the moral demands and met all the high requirements. True, our humble homecoming is only the beginning. Made new in Christ from within by a rebirth in the Holy Spirit, we can now begin to live new lives, lives guided by God's truth revealed in the Bible, lives strengthened by Christ's indwelling presence, lives nurtured in the community of the baptized who walk in such newness. Equipped, empowered, emboldened, we now strive by God's continuing grace to live lives which attain a higher mark of love, integrity, and moral congruence. The bar can now be set much higher, but we approach it so differently: with the deep awareness that it's only in the power of Christ that we can even come close to clearing it. It's at this point that we can begin to consider Jesus' famous "Sermon on the Mount", my current class topic and a subject for a future post!